Firstly, a sinus drainage massage is performed to help soften and dislodge any sinus congestion. Then using an ear candle we gently draw out wax build up and sinus congestion out through the ear canal. 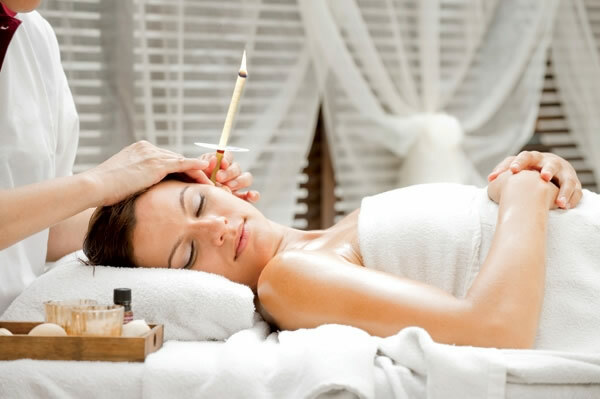 Ear candling is a non-invasive, gentle treatment that targets sinus problems, wax build up, alleviates swimmers ear, helps with snoring problems, migraines, ear infections and more. All ear piercing is done using sterilized and certified equipment, and is performed by trained and qualified therapists. Price includes one pair of earrings. Range of earrings to choose from.